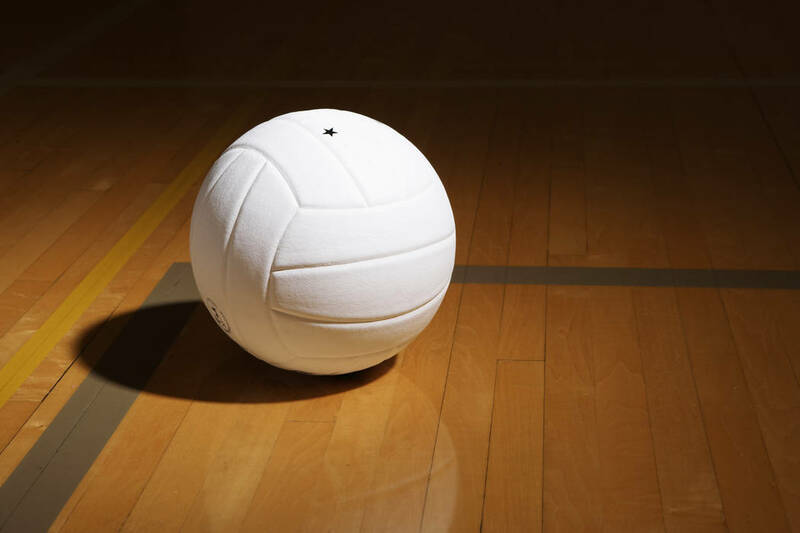 Adlai Rodriguez had 24 kills and 13 digs to help Rancho’s boys volleyball team to a 25-21, 17-25, 25-17, 27-25 road win over Cheyenne on Thursday. Sergio Delgado-Cardona added 11 kills, and Jhonathen Reyes had 25 assists for the Rams. Omar Abushanab added 18 digs for Rancho. Denzell Brown had 10 kills and 17 assists for the Desert Shields. Brandon Willcoxson had 11 kills and four blocks, and Ryan Buchanan added 10 kills for Cheyenne. Arbor View 3, Green Valley 0 — At Green Valley, Jaylen Harris had 14 kills to help the Aggies defeat the Gators, 25-19, 25-20, 25-12. Gideon Belnap had 11 kills, and Max Senior dished out 24 assists for Arbor View, which got 21 digs from Tyler Worthington. Kyle Cronic had 11 kills, two aces and four digs for Green Valley, and teammate Chase Johnson had three kills, two aces and eight digs. Las Vegas 3, Bonanza 0 — At Las Vegas, Kevin Sweitzer had 13 assists and 10 digs as the Bengals defeated the Wildcats, 25-21, 25-18, 25-22. Leander Gates had six kills, three aces and 11 digs, and Ashton Barney had 10 digs for Las Vegas. Mataio Valoaga had eight kills, seven digs, five aces and five blocks for Bonanza. Mark Thuet added 12 kills and six digs, and Anthany Lemus dished out 24 assists for the Bengals. Centennial 3, Eldorado 0 — At Centennial, Sione Tuiasoa had seven kills and two aces to help the Bulldogs to a 25-7, 25-6, 25-8 sweep of the Sundevils. Luke Wagner added seven kills, and Keaton Edwards had five aces and six digs for Centennial, which got four aces from Jaxson Kuewa. James Metzger had four digs for Eldorado. Cimarron-Memorial 3, Legacy 0 — At Legacy, Kilmor Amor had five kills, 24 assists and nine digs to help the Spartans take down the Longhorns, 25-14, 25-10, 25-15. Maximo Torres had 12 aces for Cimarron. Hakeem Williams added seven kills, and D’Aaron McCraney had seven blocks for the Spartans. Cahill Laws had six kills, and David Yancy dished out 11 assists for Legacy, which got 10 digs from Romeo Bottley. Shadow Ridge 3, Canyon Springs 0 — At Shadow Ridge, Garin MacFarlane had 10 kills and four aces to lead the Mustangs to a 25-11, 25-14, 25-19 sweep of the Pioneers. Jackson Justice tallied 27 digs, and Zach McArthur added seven kills and four digs for Shadow Ridge. Tony Washington had four kills and three digs, and Malachi Su’a provided three aces, three digs and two kills to pace Canyon Springs. Palo Verde 3, Desert Pines 0 — At Palo Verde, Ashton Earl had 21 assists and six kills as the Panthers took down the Jaguars, 25-13, 25-10, 25-10. Connor Peterson had eight kills for Palo Verde, and teammates Sam Johnson and Andrew Tingey each added six kills. Boulder City 3, Somerset-Losee 0 — At Somerset-Losee, Boen Huxford had eight kills and 13 assists as the Eagles defeated the Lions, 25-8, 25-10, 25-17. Preston Jorgensen had 16 kills, and Kenny Rose dished out 17 assists for the Eagles. Kannon Rose added 14 digs for Boulder City. Kyle Fuller had six assists and two digs, and Chris Dulalia supplied three kills and three assists for Somerset-Losee. Pacifica Christian (Calif.) 3, Sunrise Mountain 0 — At Sunrise Mountain, the Seawolves swept the Miners, 25-10, 25-12, 25-23.